DHCP is easy to configure on a Cisco Meraki in smaller environments without a dedicated server. 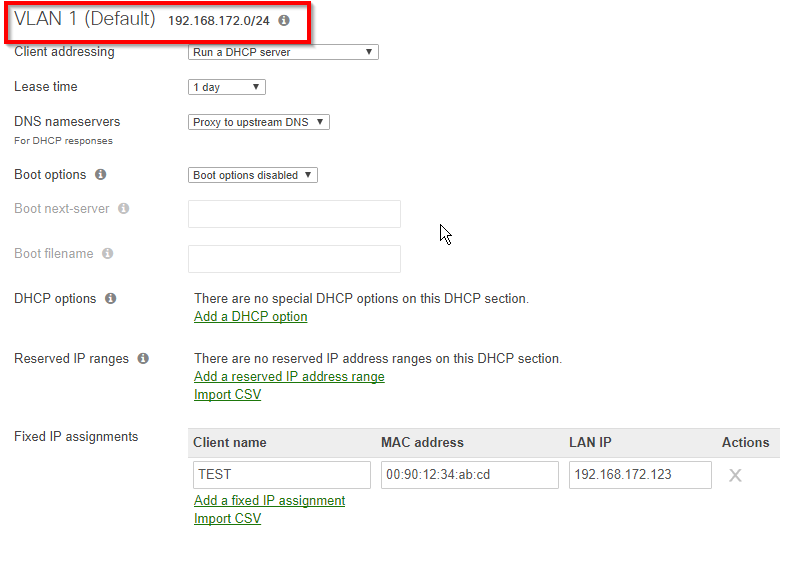 Meraki DHCP reservations and settings can be tricky though if you switch between enabling/disabling VLANs. 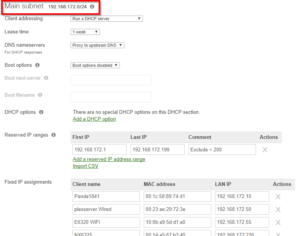 Unless you are sure you will never use VLANs, you should Enable VLANs before creating any DHCP reservations and settings. Although the subnet and MX IP will be the same under both configurations, none of the previously added reservations will carry over; they must be re-added. The DHCP reservations do not carry over because the network with VLANs Disabled is technically the “Main Subnet”, whereas with VLANs Enabled, the network is “VLAN 1 (Default)”, as seen in the pictures below. Since the settings do not carry over, we recommend Enabling VLANs even if you only use a single subnet. 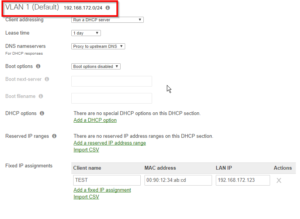 This entry was posted in Meraki and tagged Cisco, DHCP, VLAN. Bookmark the permalink.